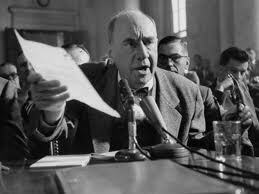 Attorney Joseph Welch’s legal representation of the Army in the Army-McCarthy hearings was a very difficult assignment. It was not a trial in a court with established procedural and evidentiary rules to resolve a dispute under known substantive legal principles before an independent judge or jury. That is where Welch had many years of experience. Instead it was a congressional hearing without such rules or substantive law and without an independent trier of fact under the lights of television cameras before a jury of millions of fellow citizens. That is something for which Welch had no experience. Nor did any other lawyer at the time. As a result, it is difficult to evaluate Welch’s performance as a lawyer in the hearings. Moreover, one of Welch’s clients, John G. Adams, who as an Army attorney had been personally attacked by McCarthy, thought that Welch was not doing a good job in defending him before the committee. Adams was being excluded from the daily meetings to prepare for the hearings, and Welch allegedly was making deals with committee counsel without Adams’ approval. In addition, Adams thought Welch was too much of a gentleman to conduct a rigorous cross-examination of McCarthy’s female secretary. As a result, during the hearings Adams met with attorney Edward B. Burling of the eminent Covington & Burling law firm to see if it could represent Adams. Burling had Adams meet with one of the firm’s other partners, who said that Adams probably not want the firm to represent him because it was subject to potential smearing by McCarthy. One of its partners (Donald Hiss) was the brother of Alger Hiss, who had been convicted in 1950 for providing classified government documents to an admitted Communist, Whitaker Chambers. After the hearings were over, Welch thought that he had made many mistakes and that the Army had not proved its case in the hearings. He privately said to fellow attorney Bruce Bromley, who had recommended him for this assignment, “Don’t think for a moment that I didn’t make bad mistakes because I did. Don’t think for a moment that I didn’t have gigantic anxieties that you were not aware of.” Edward Bennett Williams, the noted trial attorney and legal counsel for McCarthy, opined that the Army did not put forth a convincing case on the evidence. Welch also said after the hearings that he had been hampered by the setting: the palpable fear and hate in the room, the crowded hearing room, the TV cameras, being forced to be seated and being far from the witness. For one watching the videotape of the hearings today, it is difficult to appreciate the fear and the hate that were present in the country and in the hearing room. It is also difficult today to grasp the importance of the hearings because the issues that were being debated seem trivial: whether McCarthy tried to pressure the Army to give special favors to David Schine; whether a photograph of Shine and the Secretary of the Army had been cropped and by whom; and whether a purported letter from the FBI was authentic. Welch’s notes of levity in the hearings makes one wonder whether this was his way of signaling to the public that these issues were not really that important. 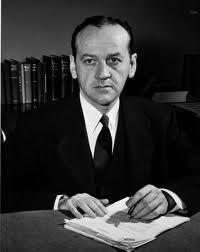 During and immediately after the hearings Welch was always circumspect in what he said about McCarthy. Subsequent posts will review President Eisenhower’s participation in the hearings, the Army’s hiring of Welch as its attorney, Welch’s activities after the hearings and his background. I interviewed Fred Fisher and James St. Clair in 1986 and have reviewed many source materials that document the assertions in this post. If anyone wants to see the bibliography of these sources, I will do so in another post at the conclusion of this series. Just make such a request in a comment to this or the other posts in this series. I would love to see the bibliography you refer to. This is a very interestg post. In the movie (documentary) in which the famous “pixie” exchange occurs, you can see Roy Cohn looking very tense and uncomfortable. As you point out, using the word “fairy” was very deliberate. I remember that era, and “fairy” was, then, a very common negative term meaning “homosexual”.